is at the heart of our curriculum. Our agreed e-safety rules are displayed by every computer in the school and are referred to regularly by staff and children. We teach e-safety as an explicit part of our curriculum and discuss issues such as; keeping password and personal information private, trusting people and sources online, what to do if anything makes children feel uncomfortable online and safe internet searching. 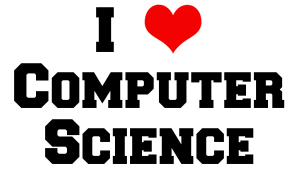 To see the full coverage please look at our Computing Curriculum Overview. 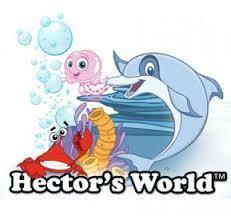 Also use the Hector's World and Lee & Kim's Adventure cartoons to introduce children to e-safety issues. Click the links below to find out more. Computer Science, Digital Literacy & Information Technology. We ensure that the principles of Computer Science are threaded throughout our curriculum and use the language of Computer Science in different contexts and subjects to assist children's understanding of difficult language such as 'algorithm', 'debugging' and 'program'. We begin with activities where the children make sets of precise instructions, or algorithms, for everyday activities such as moving across the classroom or getting to a particular place without using devices or technology. 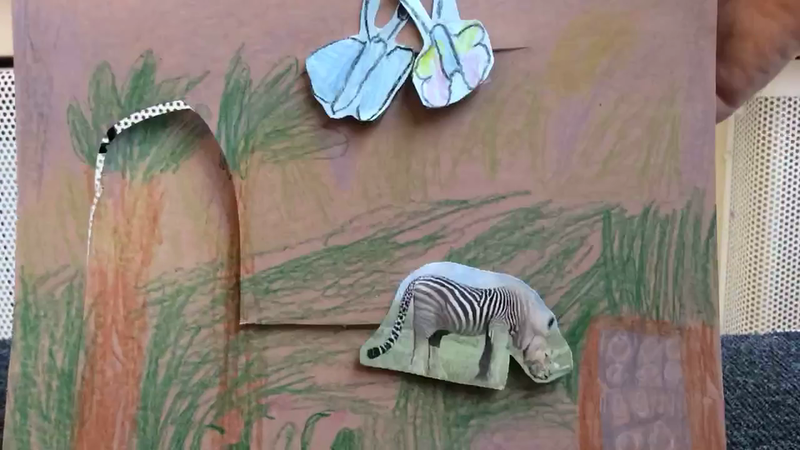 Children move from verbal instructions to written forms, or programs. Executing their algorithms allows them to see where there are mistakes which they can then adapt, or debug. We can use and consolidate this language, for example, in English when writing instructions, in phonics when thinking of spelling rules or in Maths when solving problems. We use Beebots and Bluebots in every year group, building on children's programming and problem solving skills year on year. 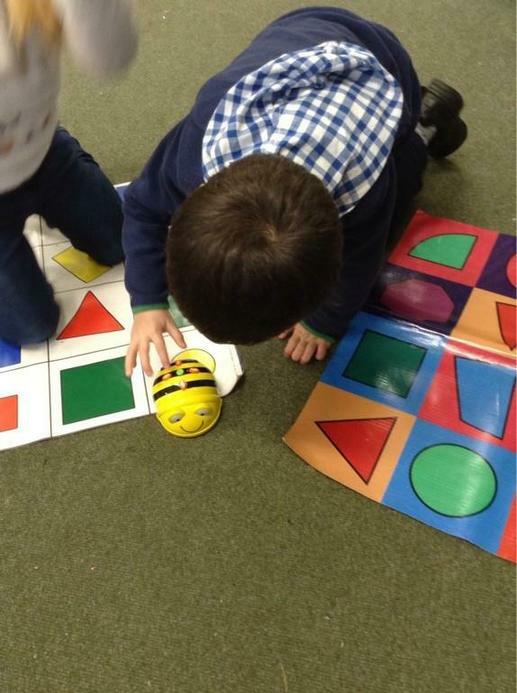 In Year R, children explore Beebot and learn how it works through trial and error and playing with the Beebots. 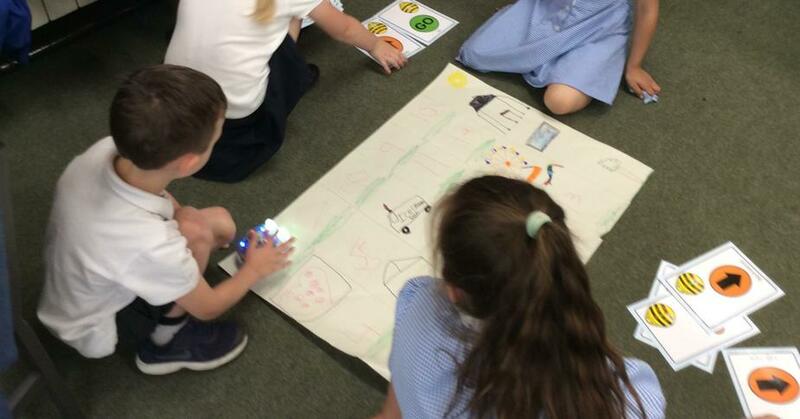 They use linear mats and learn to clear the memory before programming as well as creating their own scenarios such as sending beebot through a tunnel or into a home. In Year 1, children begin by exploring the notion of algorithms 'unplugged'. They give verbal instructions to complete tasks and begin writing them down. They then begin to write their own simple programs and debug using a Beebot grid. 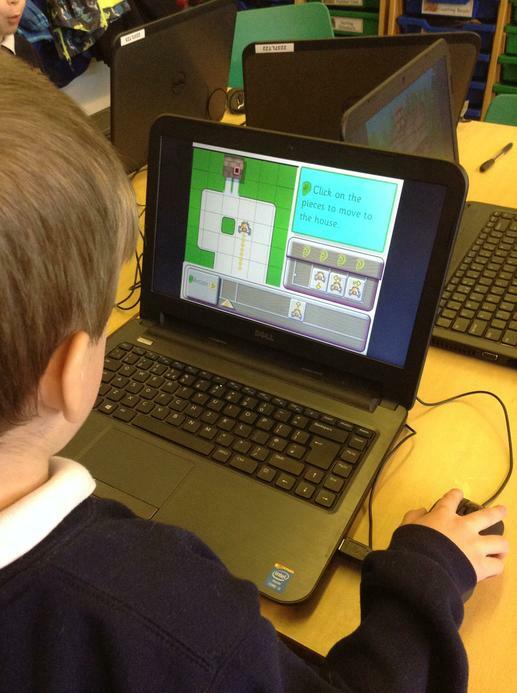 In Year 2, children visit programming a couple of times. Initially during their Ahoy There! topic the children write programs to find buried pirate treasure. By the end of Year 2 they are beginning to write their own complex programs and debug. They predict the outcome of others' programs. In addition to Beebot, we use on-screen turtles such as Logo, Terry the Turtle and Beebot on-screen versions. 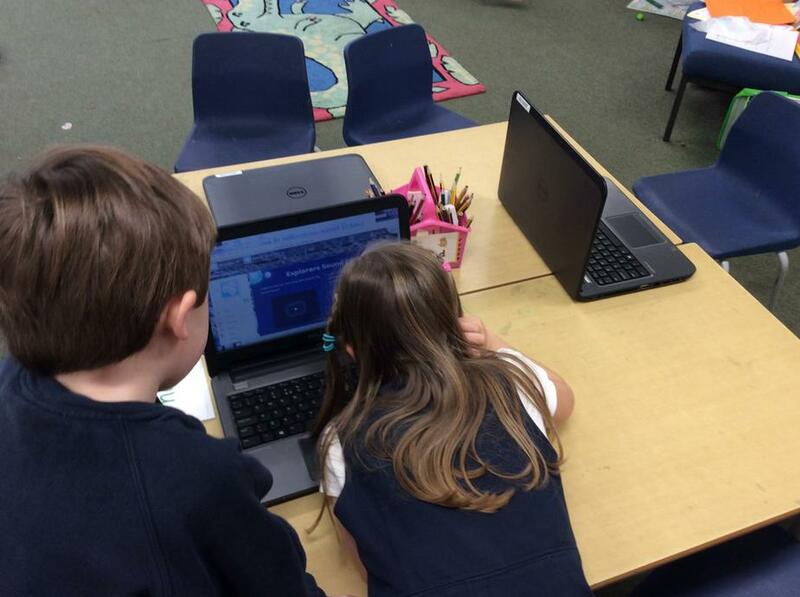 In the IT strand of Computing, our children learn how to log on and off of their own workspce. We use a VLE (Virtual Learning Environment) or Learning Platform provided by which allows children access to their own individualized learning space. They learn how to log in to and navigate this VLE and save their work within their own folders. The Learning Platform gives them access to the various 'communities' available which include whole school pages, year group pages, topic pages and their own class page. The year group pages are updated weekly and pages include information on what the children will be learning each week, links to websites, videos or games and activities related to their learning. Our class pages are updated with news on what activities and special events have taken place and class tasks are set for home learning by the teacher. The class pages may also include photos of what the children have been doing and support for day-to-day running of the class e.g. Star of the Week, notices, notes to parents etc. 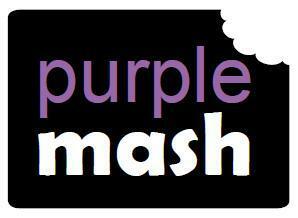 The Learning Platform also allows children access to Purple Mash and all its activities both at home and at school. 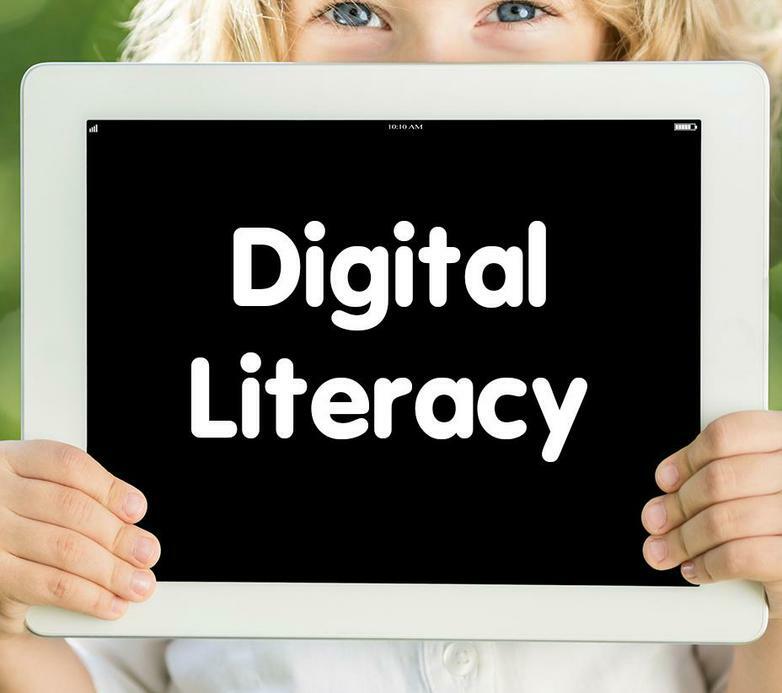 In the Digital Literacy strand of our Computing Curriculum, children are taught the skills, knowledge and understanding to use ICT as a tool for learning. Children are taught how to use technology purposefully to create, organise, store and manipulate and retrieve digital content. Our children learn to use the Internet to search for information, following our safety rules and using child-friendly search engines such as Kiddle.co . They use data programs to classify, plot and graph information that they can interpret using software such as 2Count and 2 Graph. 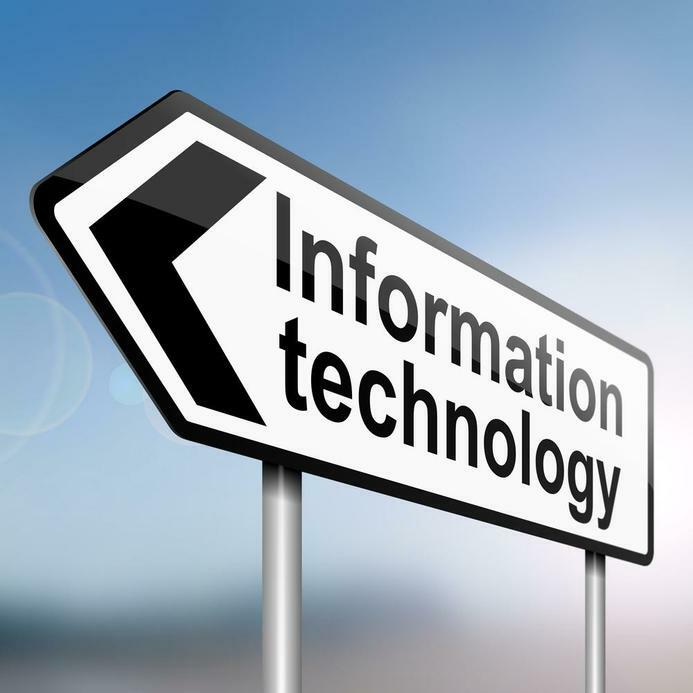 We look at the way libraries or supermarkets use databases to function. 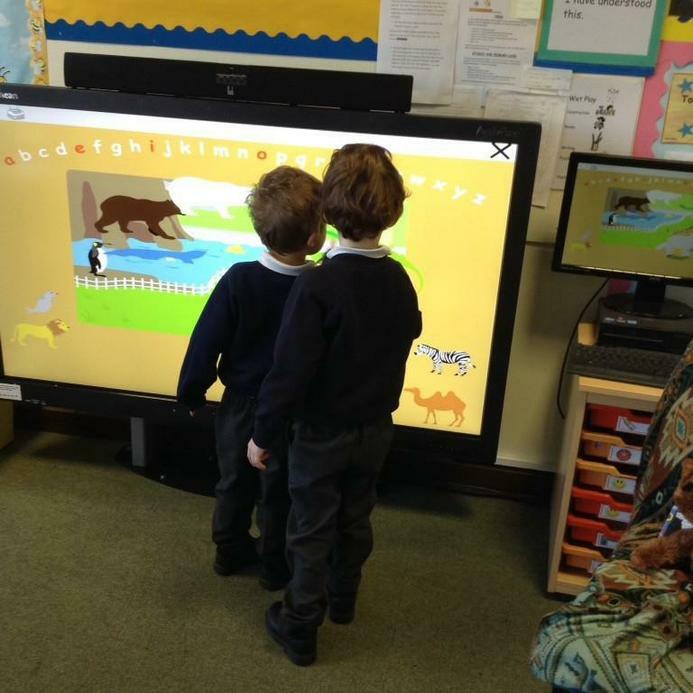 Children learn to put text on the screen using word lists and the keyboard accurately. They learn to make modifications to their work (edit), change the font style, size and colour, add graphics or photos and then save and retrieve as necessary using Word and the 2 Simple programs such as 2Create a Story. Children use iPads to take photos and videos. They then learn to manipulate these images. 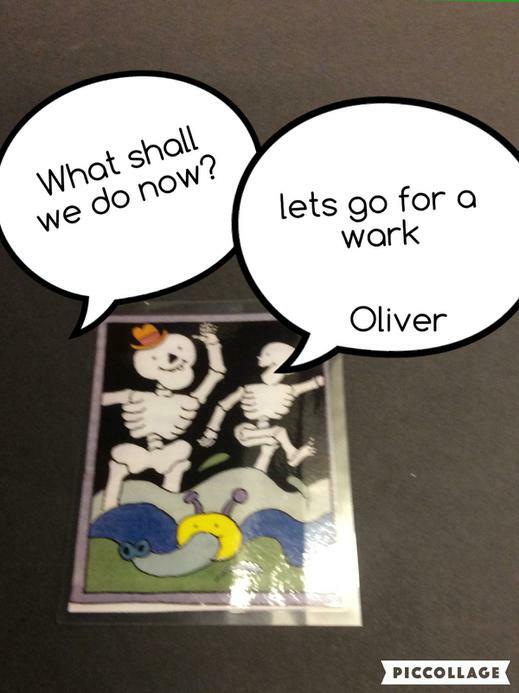 In Year R children take photos and then add speech bubbles and captions using the iPad. 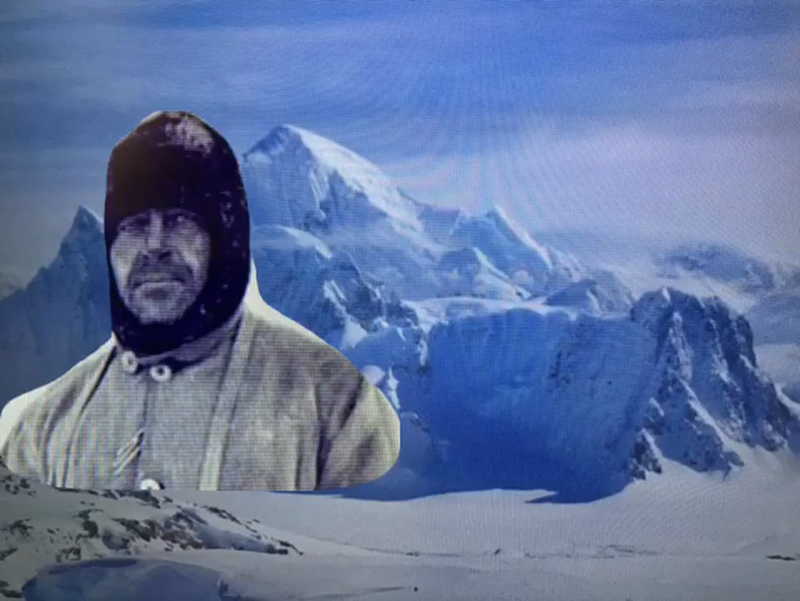 In Year 1, children take their own photos and then insert these images/videos into their work and add sound and/or text. 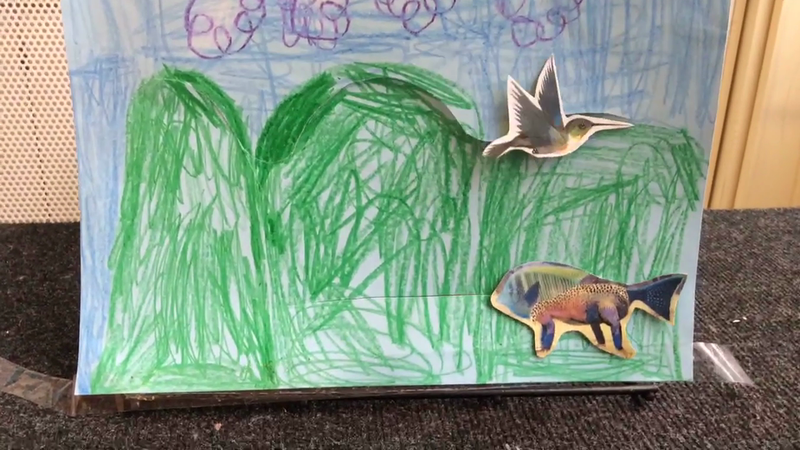 By Year 2, children are capable of using iMovie software to create their own movies and stop-frame animations, editing sequences and transition and overlaying sound (either voice or sound effects) and text where necessary. They learn to use software like Natural Revelation Art and 2Paint on the computers, and Drawing Pad and Brushes on the iPads to convey their ideas using a wide range of tools. The children learn to record sounds using voice recorders. We use iPads, talking postcards, USB microphones and sound buttons to record and playback children's voices. We also use our Learning Platform to record children's voices. For example, in Year R children are set a task to retell part of the 3 Little Pigs story and by Year 2, children are taught how to insert sound over their work in iMovie. 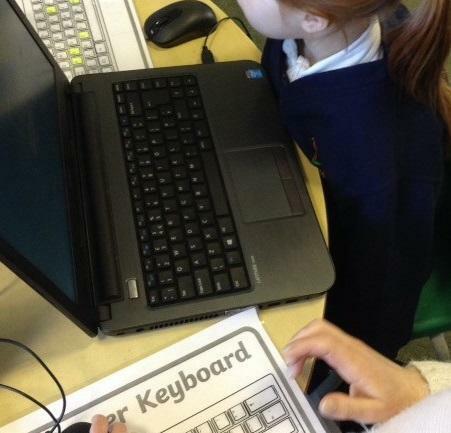 As well as teaching Computing as a discrete subject, we of course weave ICT skills throughout our curriculum. Children have access to a bank of laptops, pod computers throughout the school, class computers, iPads, CD players, USB microphones, digital cameras, walkie talkies, remote controlled cars and more. 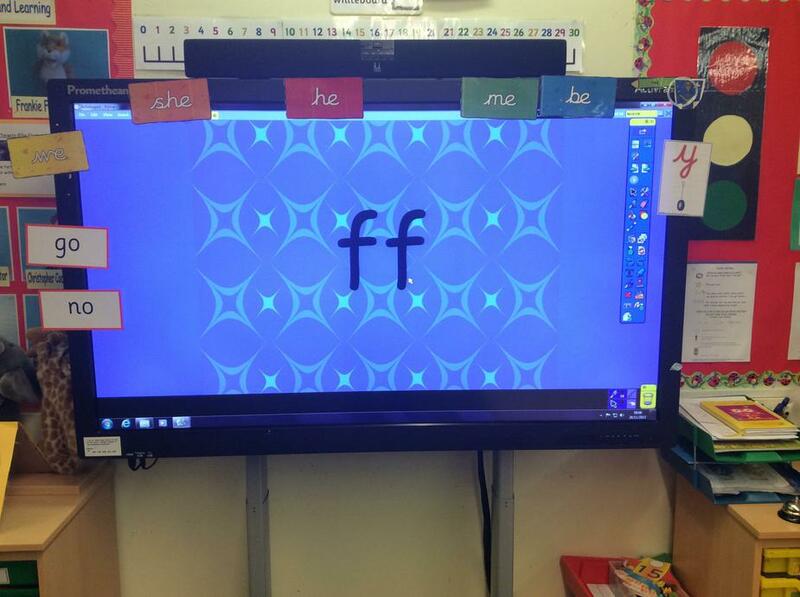 We use Purple Mash, Education City, Phonics Play and other software packages to aid teaching and learning. We have we have state of the art touchscreen whiteboards too across all classrooms and in the Library. 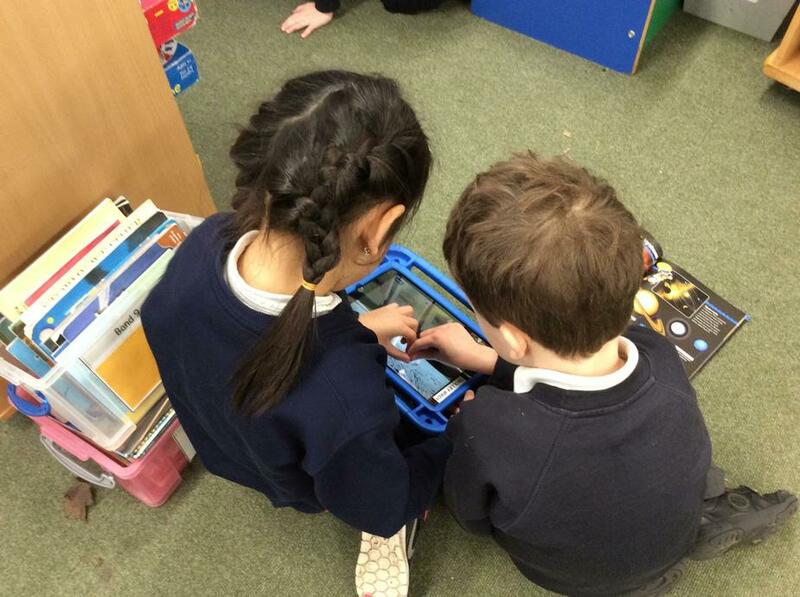 Year One used the iPads to record sound clips about famous explorers they had researched about. Child initiated learning saw the children in Year R want to create their own animals by morphing a combination of creatures. They used colour coded grammar to think of a story and made their own props.